Why do I need knock knock when my bookshelf is bursting with magical grimoires? I had the same exact thought when I was first introduced to this idea by a jinni. I have the conjurations, the Ring of Solomon, and many more tools at my disposal. Why did I need to layer that with awkward knocking? I decided to test and verify. I used a drum to test the method and I was floored. 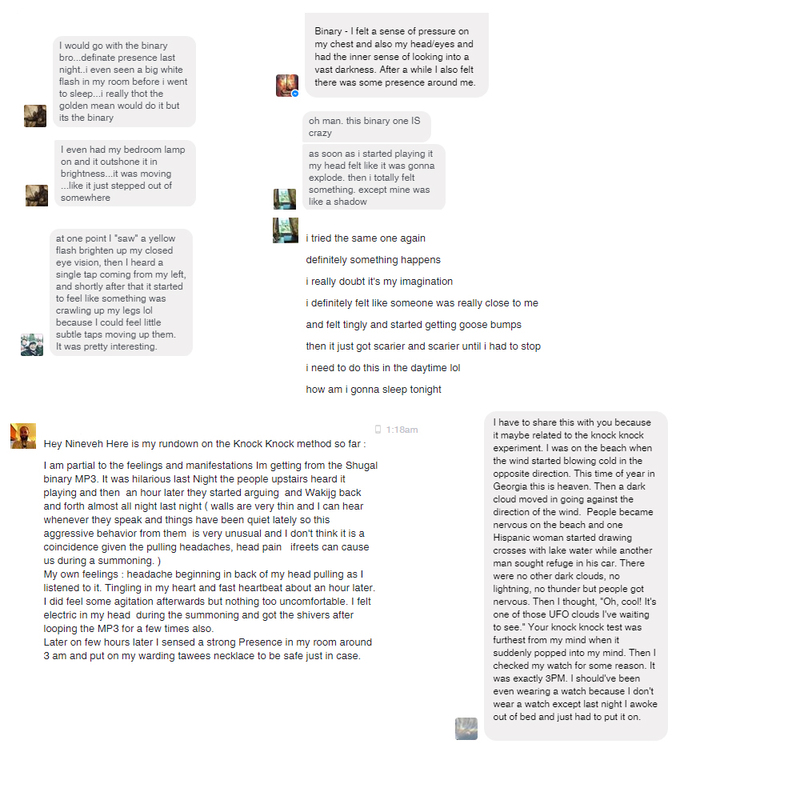 I shared the beats with few friends and their testimonials came pouring in. You can see their feedback for yourself. I soon learned from a friend familiar with traditional African magic that this was pretty common. Each spirit had its own melody of beats given by the spirits themselves. Many of these spirits sound a lot like jinn. Knock Knock beats aren’t a new edition to magical workings. They should have been there from the start. Somewhere along the line we either lost or forgot about them. What are the benefits of Knock Knock Beats? They hasten and speed the manifestation of any jinni you desire to summon. It can turn a failed conjuration session to a complete success. It is convenient and easy even for a total beginner. You can just play the recordings of the beats and get results. Imagine converting the name of the jinni into an audio signal that you can transmit far and wide. It can play while you sleep and attract the attention you want. Don’t be surprised if you get visitors in your dreams. Why is the Knock Knock a must have when it comes to summoning jinn? Anything that can really improve the chances of a jinni responding to you is a must have. Equally as important, it is something that the jinn have been teaching magicians to use for centuries across many parts of the world. It would be foolish to ignore their recommendations and teachings. Is Knock Knock classical Arabic magic or something new? There is no mention of drums to summon jinn in Arabic manuscripts. However, many conjurations have the first signs of jinn manifestation as jinn appearing playing drums or strange knocks in the walls. Arab magicians knew of the connection between jinn and knocking, but never put that secret on paper. The exact method revealed here is taught by the jinn and is based on pure mathematics. There was little new human innovation necessary. 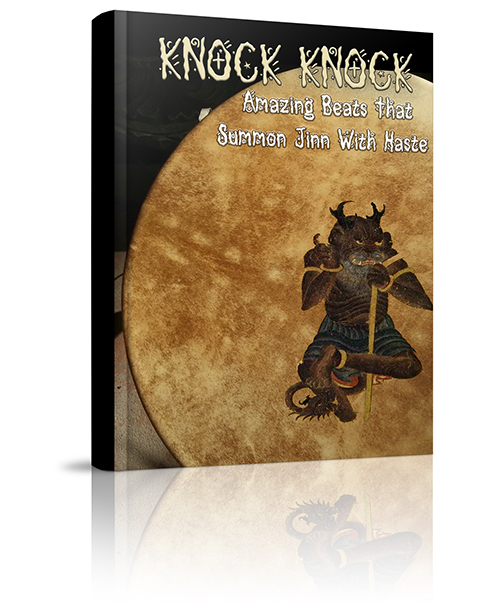 The Knock Knock method is transcendental to any culture or language and can be used by anyone to summon any jinni they’d like. What is the connection between Surat Tareq and Knock Knock? Many Surah in the Quran, like the Psalms of the Bible, have their own esoteric attributes and applications. I have revealed a unique perspective on Surah Tareq and some of its esoteric mysteries in the report. I’ve also given the angelic servitors and jinn-related conjuration of the Surah. These will help you apply the Knock Knock method at a whole new level. However, if you don’t wish to use magic rooted in the Quran and the angels, you can use still the Knock Knock in their pure beat form. It works on its own regardless.